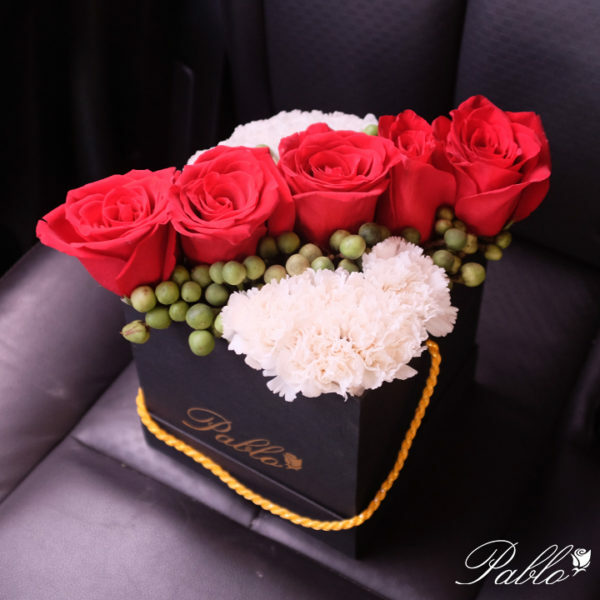 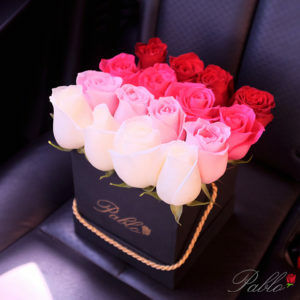 5 red ecuadorian roses arranged diagonally through white carnations in our signature black cube. 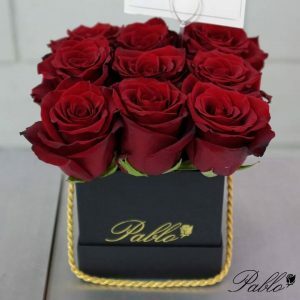 Please order at least 5 days ahead to ensure availability. If you need to request delivery sooner, kindly contact us thru SMS / Viber / WhatsApp: +63917 1148917.